NailsandMidiRings | A Great Combo! This Ring is perfect for the Summer! A very pretty Gold plated adjustable Brass Cuff Rings, with a gorgeous Boho Floral design running thru it. 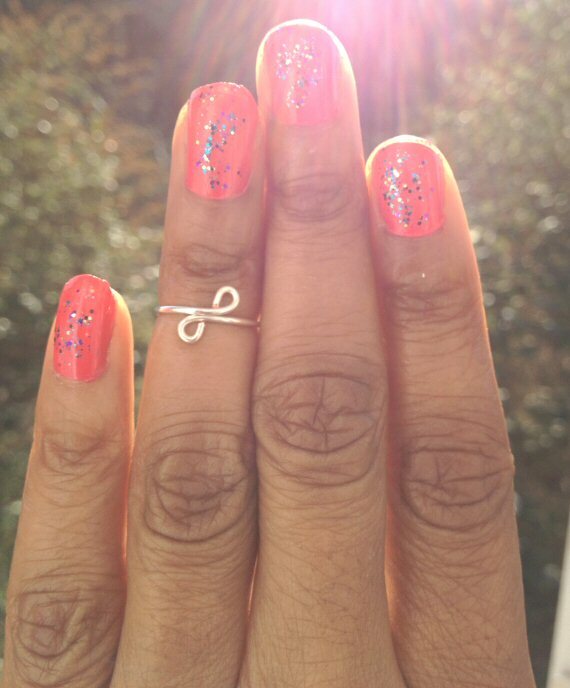 Here’s one of my favourite Midi Rings. I made this by twisting Sterling Silver Wire! 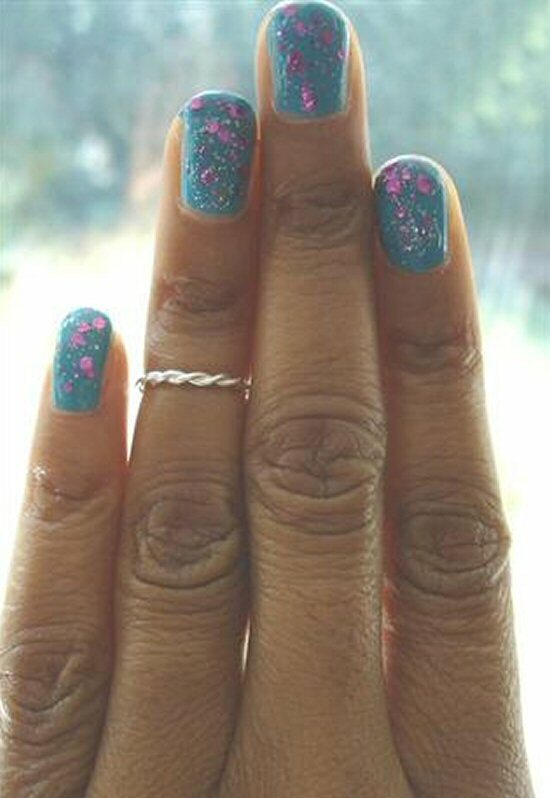 The Nail polish i used here is: Collection 2000 “Electric Dreams” & Saffron Pink Fleck Glitter. Such a cute little midi ring made from Gold Filled Chain! Can be worn by itself or stacked with other Rings……ideal for the Summer! 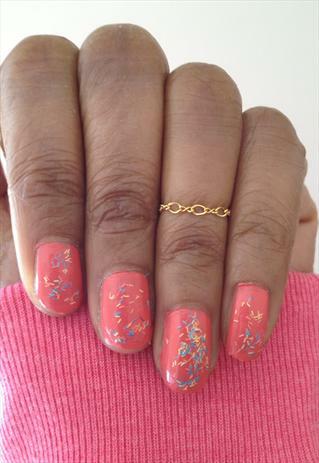 Nail Polish used: Maybelline Color Show “Coral Craze” and Nails Inc Feathers Effect in “Chester”. 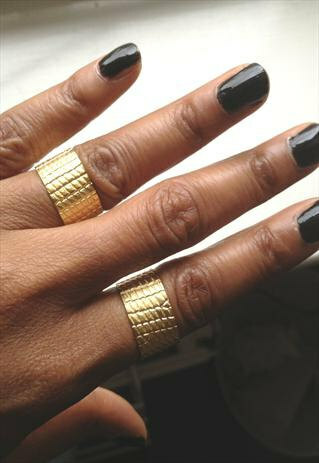 Gold plated adjustable Brass Cuff Rings, with a Cool Mock Croc design running thru them. My most popular Rings at the moment! 2 Solid Sterling Silver simple Bands, which can be switched around and worn on different fingers. A cute minimalist look! 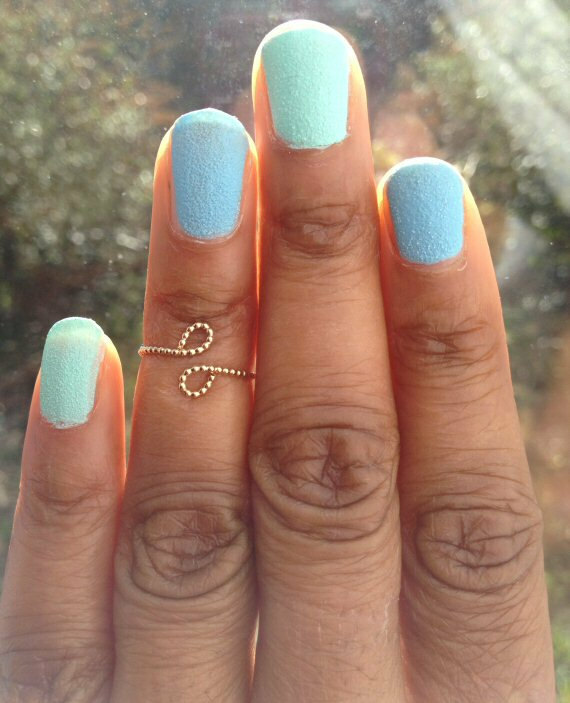 Here’s my most popular Midi Ring! 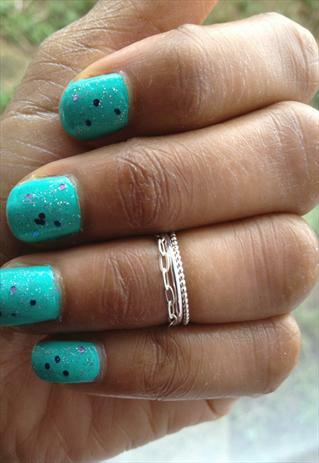 It’s a fun little Ring which can be worn in 2 ways. Wear it one way and you have a double Loop style. Turn the Ring around and you have a minimalistic Criss Cross design. (The above pic. shows both designs side by side). I LOVE this above the knuckle Ring! 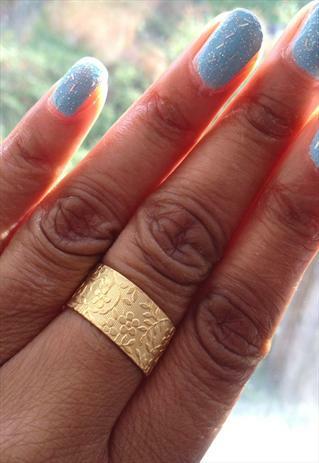 I made this Ring by braiding Non Tarnish Gold Wire,…..it really has a sweet Rustic charm to it don’t you think?! Nail Polish used: Barry M Black and Nails Inc Chester Feather Effects polish. 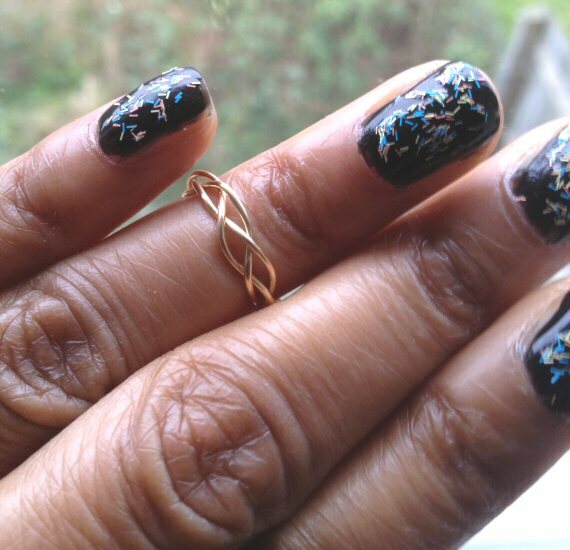 A stunning little Midi Ring, made using 12K gold filled Beaded Wire! Nail Polishes used: Barry M Atlantic Road (Baby Blue) and Barry M Ridley Road (Mint Green)…..From The New Barry M “Textured” Range! 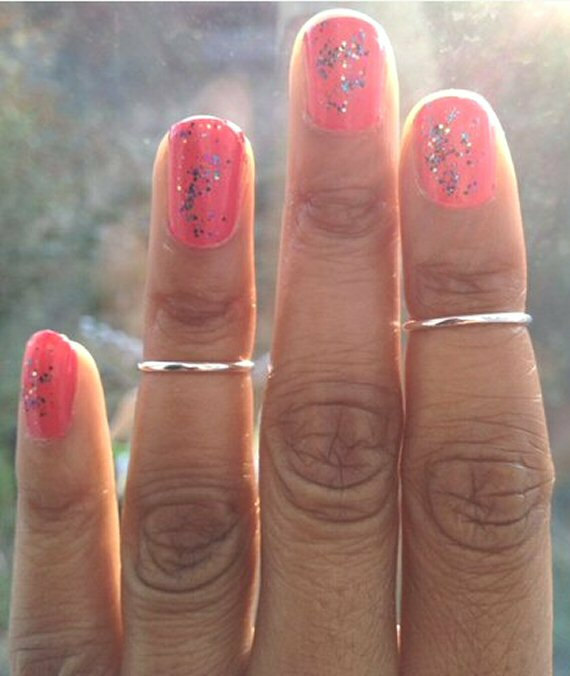 If you’d like to purchase the Ring, just visit my shop here: https://www.etsy.com/listing/125317110/gold-midi-ring-above-knuckle-ring-12k? Sterling Silver Chain Ring which i made from a small length of Silver Cable Chain! Looks great worn alongside other rings, as pictured. But can be just as effective worn by itself! Nail Polish used is: Barry M Gelly Hi Shine Greenberry and NYC Lights, Camera, Glitter. 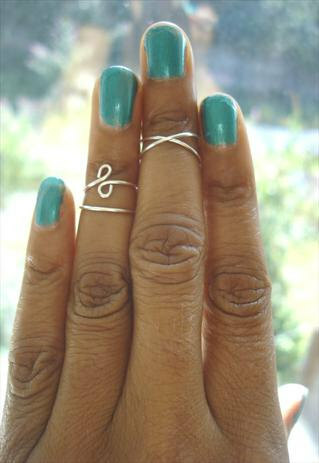 If you are interested in buying any of the the midi rings seen pictured, click here: https://www.etsy.com/listing/124605546/midi-ring-above-the-knuckle-ring?